The enemy wants us to feel rejected, left out, lonely, and less than. When we allow him to speak lies through our rejection, he pickpockets our purpose. Cripples our courage. Dismantles our dreams. And blinds us to the beauty of Christ's powerful love. 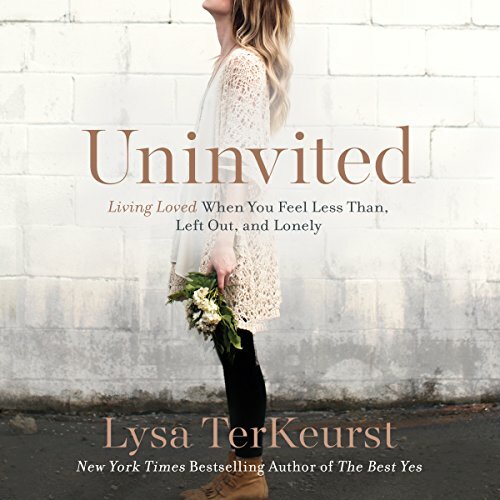 In Uninvited, Lysa shares her own deeply personal experiences with rejection - from the incredibly painful childhood abandonment by her father to the perceived judgment of the perfectly toned woman one elliptical over. 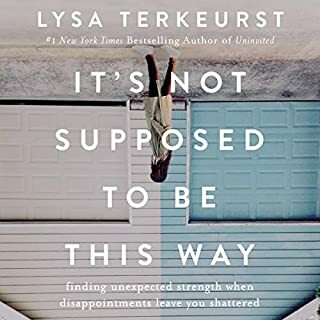 Stop feeling left out and start believing that "set apart" does not mean "set aside"
Thank you Lysa for sharing some of your journey and life lessons with me in the hope that they may help me learn the healthy, godly way to best deal with my pain. 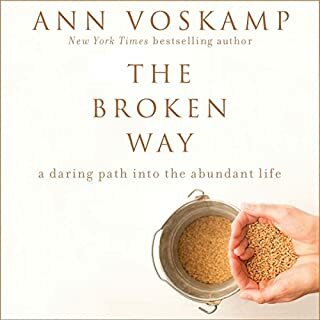 Your book is real and challenging, yet loving and kind...a true reflection of our Heavenly Fathers's nature who I will choose to take comfort in to heal this hurt part of my heart. Thank you. What did you like most about Uninvited? The breakdown of information and the examples are really relatable. and you could definitely see how they would happen and then how the subject of each chapter relates to it and what you need to do for yourself. Did Ginny Welsh do a good job differentiating each of the characters? How? The speed will need to be reduced from 1 to 0.85 so it will be longer than 5 and Half hours. Not only did I buy the book, I've listened to the audio version as well. 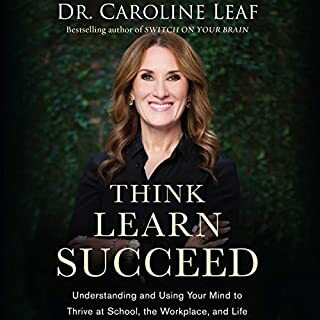 I will definitely read, listen to, and use this book daily! I'm so happy that Lysa listened to God's voice and allowed Him to speak thru her. This book is encouraging, uplifting and most of all...in the end it makes you feel INVITED! I loved it and I'd highly recommend it. Almost every chapter, spoke directly to my heart and spoke purpose into my "real life" situations, both past and present! 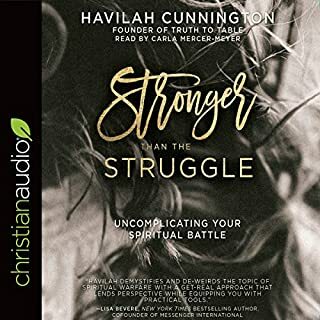 This book jumped out at me on Amazon as I wade through a very difficult time in my life. 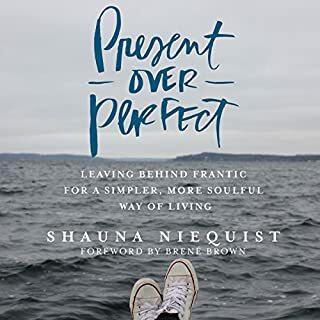 I was so drawn to the "Living Loved When You Feel Less Than, Left Out, And Lonely" that it wasn't until around chapter three that it finally clicked that this is a book geared towards women. 😳 I didn't let that stop me from reading on. 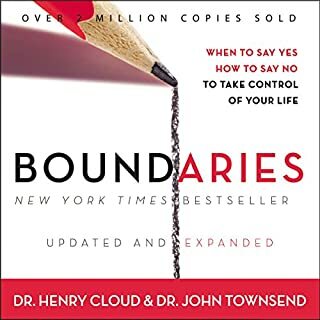 I wholeheartedly believe God directed me towards this book, and even though I am a man I can say that this is one of the best books I have ever picked up. Thank you Lysa for opening up to us and reminding me that God is good, God is good to me, and God is good at being God. Loved it from chapter one to seventeen. Listened to it in two days! I am excited to hear what God is really saying rather than what I am hearing. 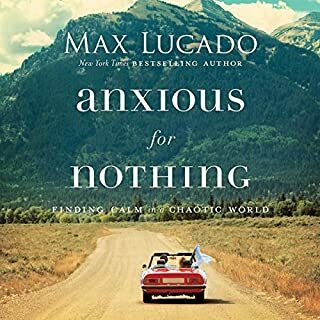 It is hard to put into words how well this book spoke to my heart. 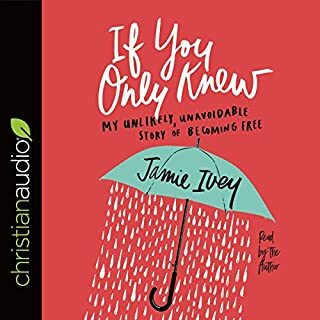 My favorite part were the chapters on Abigail & "me too"and the one describing the importance of going through the pain, not always trying to numb it. Thank you to Lysa for sharing some of the deepest parts of her heart. This gave me renewed hope. Please record your own books Lysa! Would love to hear the author read the book. 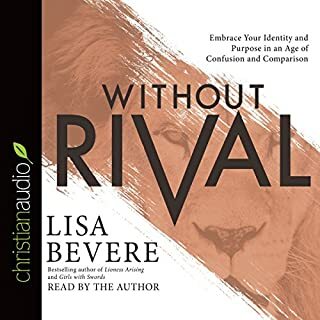 Loved the book, but would rather read than listen if it's not the author reading it on Audible. I would like to comment on the Narration of this book, since others have. 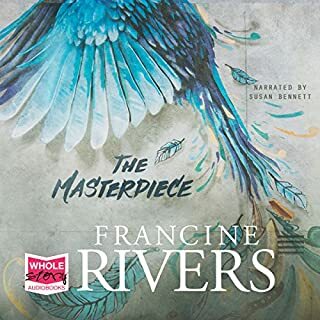 I was not sure I wanted to buy this Audio book due to the performance comments, but I really wanted to hear the book, which is my new favorite Reading Experience :) I too could not enjoyably listen to it at 100% of speed, so I did slow it down to 75. At first a few words seemed off, but I continued on and I am thoroughly enjoying it. The Narrator really does a fantastic job, if it is slowed down. I wish the speed could be a sliding bar, so maybe you could get 80 or 85 percent when needed. The reader is talking WAY TOO fast. I even slowed it down but it's distorted sounding at some points. Why didn't Lysa read it? Her voice is so good I think it's half of why I love hearing her advice. The narrator absolutely RUINED this book. 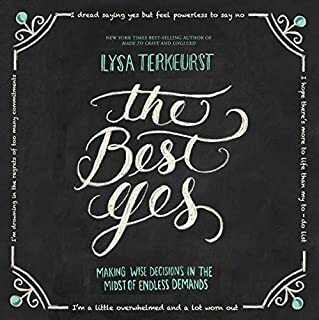 I normally really enjoy Lysa's books but this chick sounds like she's been smoking for 30 years AND she reads so fast it's almost impossible to follow. She also mispronounces the word "vulnerable" MULTIPLE times. This really needs to be re-recorded! I highly recommend this book for help described in the title. Great content but the reader reads too fast. I'm glad I was able to slow her down with my app. I didn't like all of the sarcasm, it was distracting from the very good message in the book. 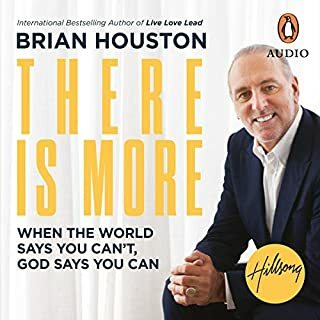 I brought the audio version and also book, I listened to the audio version first and it was good for me to get a good grasp of the topics and listen to while going out. I will use the book to do a more detailed study, so I can learn, understand, more forward and grow. The author's use of the bible, highlighting scriptures to use and pray with and how people in the bible (David and Abigail) dealt with rejection was very useful to know and use to understand roots of their and our situations where we may have been rejected, and how we react. The author was very open about her childhood and younger years, even friendships and marriage to bring over some points, which I appreciated. Also the last chapter on looking at our blind spots, was definitely needed, we have a part to play in changing to. 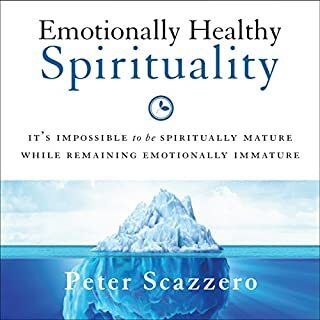 I would highly recommend this book to men as well as women, parents, teens, teachers, church leaders, also Non-Christians looking to understand this area. I realise not everyone will like the Christian aspect of the book, but it's still worth a look. The audio version may be cheaper. I have to be honest and say I took an instant dislike to this book. I actually checked if I had accidentally pressed the X2 speed button as the lady speaks way too fast. That and she completely over-eggs her performance. Listen to the sample before you purchase. I simply could not face listening to anymore than about 10 minutes. Sorry. The story may have turned out to be good but ruined by speed talking and over-dramatisation. Absolutely fantastic book which tackles the underlining issues that women face on regular basis. It also gives you effective biblical teaching to help you though your journey! I have recommended it to so many women already. 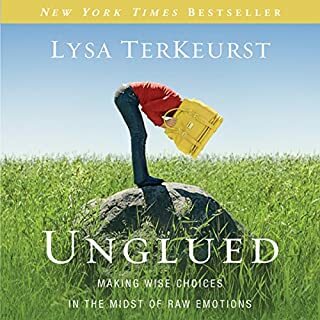 if there ever was a book to describe all that I went through and all the feelings and emotions I experienced during a difficult time, it was this book. 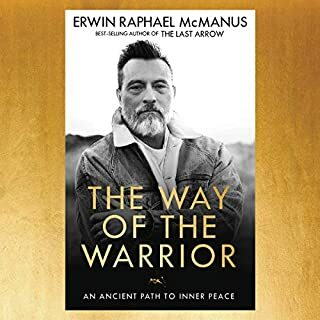 This is an amazing book to read and listen to. it's very comforting to know you're not the only one who had these experiences and you can work on overcoming the feelings of rejection . This book will be a permanent companion. I liked the way the book was written and read. The author was very transparent and unashamed. It dealt with some deep issues that if we're honest we all seriously struggle with. Equally it was funny in parts to break the momentum to feel sorry for yourself. A good look at the subject to help you to realize you don't have to stay where you are. What you need to hear-not what you want to. I was seriously lacking Christian literature in my day to day until I decided to read this. Challenging and thought provoking but so loving. A good read if you're feeling unpopular or unimportant. 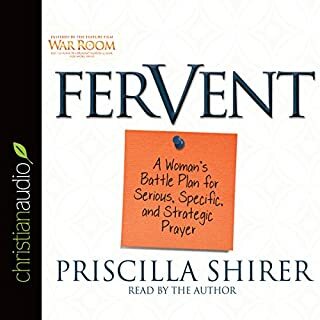 I couldn't listen to this book due to the speed of the narrator. It's far too fast and I'm not sure why this was not noticed before it was published. I returned it for his reason. love her humour, sincerity and vulnerability. 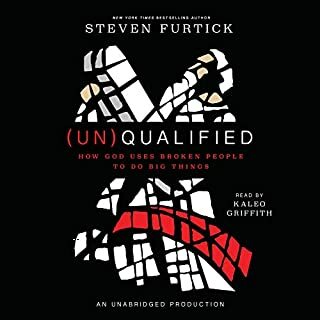 highly recommended to anyone that has ever faced any kind of rejection. I'm going to listen again and make notes. The author is unashamedly honest and relatable in so many ways. Heartfelt and genuine book written to honour God and bring people into life, truth and light. You will enjoy this read. Would you consider the audio edition of Uninvited to be better than the print version? I wouldn't say better but I wouldn't say that it was worse either. I feel as though for it's purpose listening to it had more of an impact on me. What about Ginny Welsh’s performance did you like? I loved Ginny's narration. 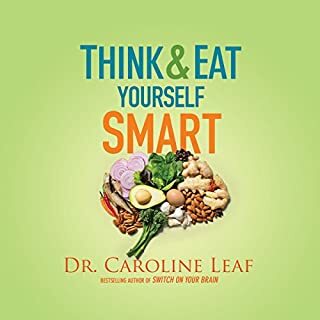 Funny when needed, serious when needed and helped me to flow through the book at a steady pace ensuring that I was able to understand each part.